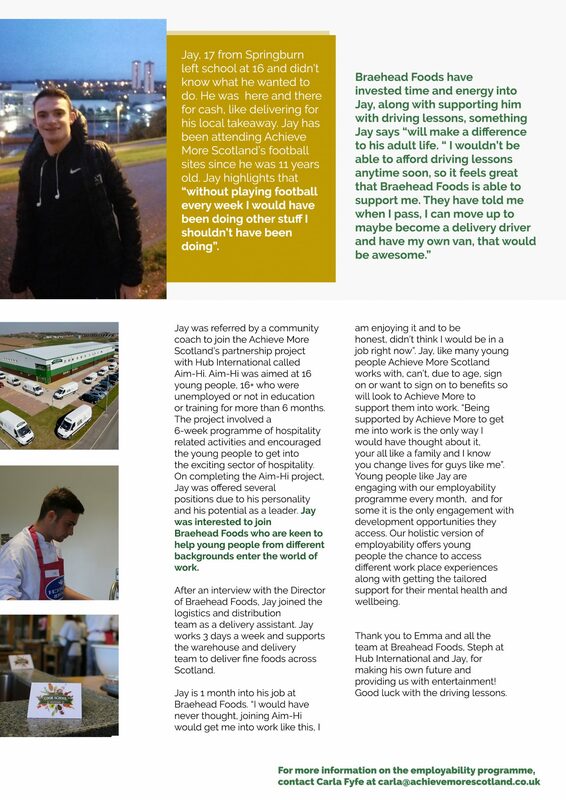 Here at Achieve More Scotland we are delighted that we can work with young people that use our services to enter long-term employment and gain the skills to achieve in life. In 2016 we received support from the STV Appeal to begin a 2 year journey of employability; since then we have been working with our young people to enter employment, further education and positive destinations across the city. The aim of our employability programme is to work with young people who do not have access to employability opportunities through school, college or their social circles. Sadly their social and economic status creates barriers for them to achieve. By working with them, we know they have just as much chance as any other young people to become the next leaders, managers and entrepreneurs of tomorrow. We are bold and holistic, but we could not have a successful programme if it was not for what we ask of local employers, businesses and enterprises to think how they could support the next generation. Working in collaborative, supportive and change making partnerships, we could not improve the lives of Scotland’s young people living in deprived communities. We have some exciting news, It has been a while in the making but we have an exclusive program running this Summer for 12 young people who are unemployed, ages 17+, starting on the 2nd July. 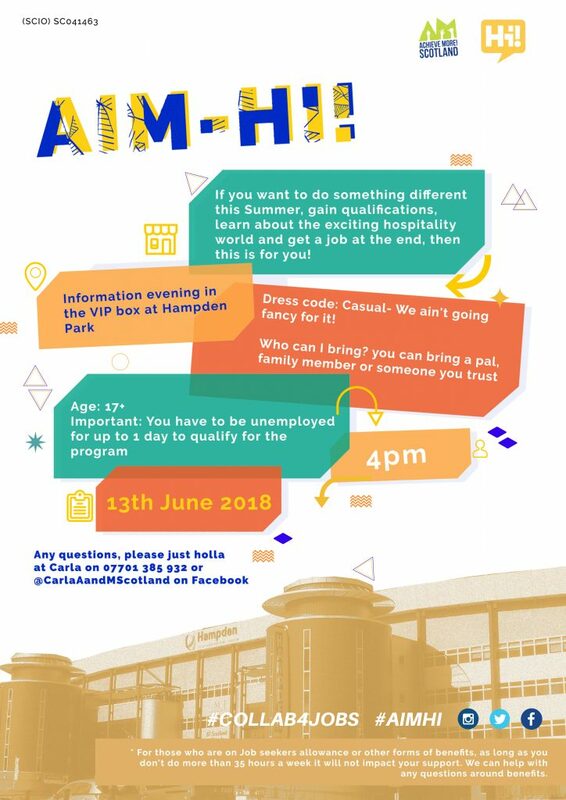 The program is called Aim Hi! and will run for 6 weeks, 4 days a week. The program will take place in Hampden Park, Hotels across Glasgow and the European Championships. You will learn how to become a world class barista, a world class cocktail maker, a world class chef plus visit some exclusive and new hotels and be treated to the VIP treatment. PLUS you will serve people during the European Championships...I say! All participants will be given work experience at the end of the project and we guarantee 100% will get interviews* So if you want to do something different this Summer, gain qualifications, learn about the exciting hospitality world and get a job at the end, then this is for you!